The appeal of theme parks, zoos, and cinemas is undeniable, but believe it or not, keeping the kids entertained at the weekend doesn't need to be expensive. If you're wondering how to save money without sacrificing enjoyment, the answer is easy: take your kids to the museum. While it might sound like an active child's worst nightmare, it's worth remembering that modern museums are very different than the stiff exhibitions of yesteryear. The following museums have made a special effort to appeal to kids. Best of all, they're free to enter; meaning you can splash out on other treats for the little ones later. Remember, you can use our free Money Dashboard budgeting software to keep track of how much you're spending and saving, so you'll never need to panic at the end of the month again. Time Out bills it as one of the most child-friendly venues in all of London, which is a pretty big boast. There's plenty to keep kids entertained here, though, with 16 acres of landscaped gardens, a fantastic nature trail, and weekend workshops. There's a huge natural history gallery complete with stuffed animals, an area for getting hands-on with exhibits, plus a huge collection of bizarre musical instruments; some of them are even available to play. This recently refurbished museum is packed with interactive exhibits designed with children in mind. 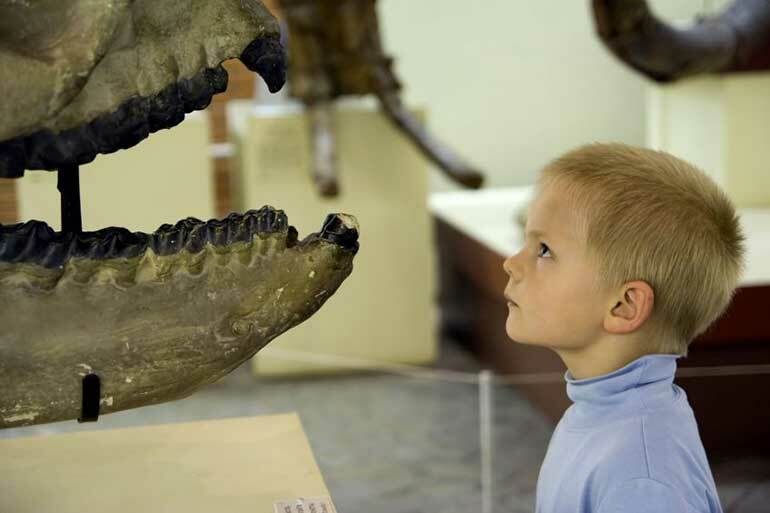 There are scientific activities to take part in, historical artefacts to discover, and a section with lots of interesting stuffed animals and a huge T-Rex skeleton. The Imagine and Adventure Planet galleries are dedicated specifically to little ones, while older children will enjoy trying on mail shirts and attempting to fire mediaeval catapults. There's plenty to get nostalgic about at this museum, which features a toy collection dating back to 1872. The collection includes cute teddy bears, impressive dollhouses, and the top 10 Christmas toys from every year. It might sound like a bit of a tease to take your kids to a place packed with toys they can't play with, but there are plenty of hands-on exhibits too. There are also areas with sandpits, Lego, rocking horses, and other fun things to play with. Take your kids back in time with a visit to this 18th Century mansion. The building is packed with everyday objects from bygone eras, some of which seem rather bizarre these days. Gas-heated baths, period costumes, and a display of china toilets illustrate how life in Britain has changed over the past few hundred years. Barbecues are permitted in the grounds, so if you're budgeting you can save extra money on your day trip by bringing a picnic.